Are you tired of getting Jerked Around? 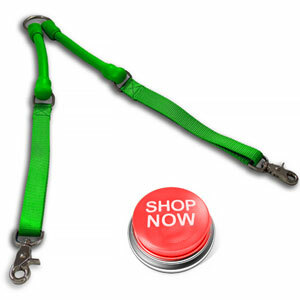 It's time for you to try on our top rated No Pull Dog Leashes that guarantees a more enjoyable walk for both you and your dog. The WACKYwalk'r stretches when your pup pulls which lessens the impact on your shoulder and arm. This revolutionary concept reduces your dog's pulling power by 50% and the stretching also provides gentle resistance which helps to train your dog to Stop Pulling on Leash. 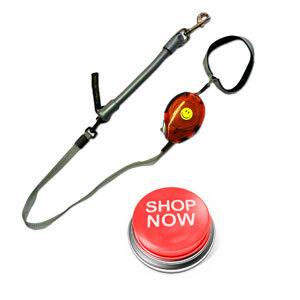 WACKYwalk'r is a veterinarian and certified dog trainer endorsed solution for dogs that pull on leash. When your dog starts to pull just stop, hold your ground, and let the leash do the rest. You'll be amazed at how fast your dog learns to stop pulling. WACKYwalk'r has several products designed to give you the best walking experience for you and your pooch regardless of your environment. Please take a minute and look over our products to determine which are best for you and your pup. We're currently offering FREE SHIPPING on all orders of $35 or more (No discount code needed) so don't forget about your dog friends when ordering. **Free Shipping Offer for USA Orders only. Additional Shipping charges apply for Express shipping and International Orders. 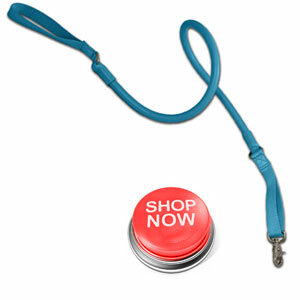 • Available in 8 Fun Colors including many bright Colors that make this a high visibility dog leash day or night. Have two dogs? Try our amazing CRAZYcoupl’r. Another solution to the problem of tangled leashes. Our CRAZYcoupl’r will not tangle – GUARANTEED! Excellent lead for an environment that requires your buddy to be up close and personal. Half the length of of the Original WACKYwalk'r the URBANwalk'r is perfect for city walks and areas that may be more congested. The URBANwalk'r, when paired with the CRAZYcoupl’r creates the ultimate two dog walking experience. • URBANwalk'r is 3 ft. long and stretches to 4.5 ft. If you have to use a retractable leash (which we never suggest) then you should be using an X'tension for a more enjoyable walking experience. 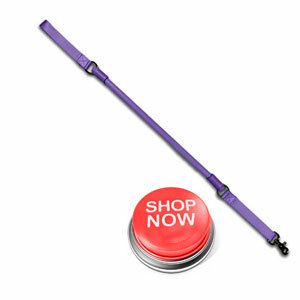 For those of you who simply cannot part with your retractable, this is the item for you. Yes sir ee…this is the missing link. Just a little piece of our marvelous stretch, makes the jerk associated with the retractable just a little more doable! !